Communication touchpoints: how can Mozilla improve? Mozilla has more products and user touchpoints than ever before (e.g., Firefox OS, Facebook, Twitter, Firefox web browser, Firefox for Android, Mozilla Developer Network, etc.). Mozilla’s users, developers, and contributors can and may interact with any of Mozilla’s products, whether one at a time or together across different platforms. The harmony and quality of their experience across all these services and products matters. As is the case in many growing organizations, it is rare that busy Mozillians have the time to pause, step back, and take stock of all the changes going on around them. It’s difficult simply to *see* all these touchpoints at once, and how they relate to one another across departments, teams, and products. 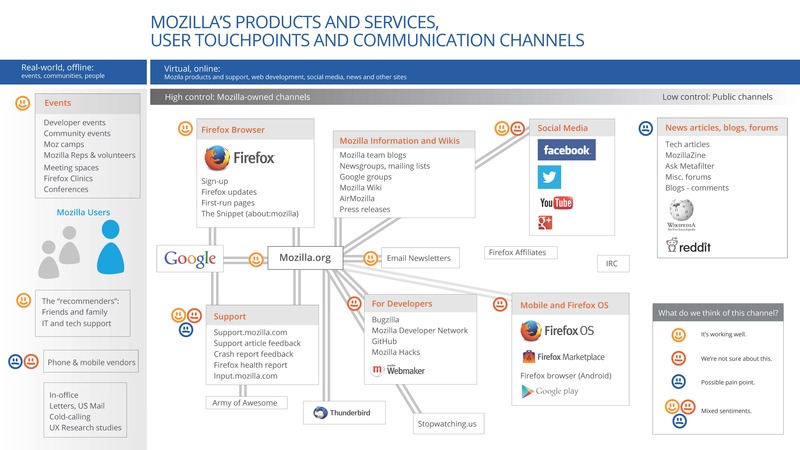 What are the main communication touchpoints for Mozilla? How do Mozillians think users reach out to Mozilla? Why do we think our users reach out? What do we think their experiences are like when they do? What don’t we know, and what merits future research? A touchpoint inventory can act as a jumping off point for further research and to help an organization identify its own blind spots. The first step in building a touchpoint inventory is to examine a company’s own assumptions about itself and how it interacts with its users. To do this, I turned to Mozillians themselves. I interviewed twelve people on many different teams across the company, which included SUMO (support), UX Design, UX Research, Product Management, Operations, Engineering, Engagement, Community Engagement, and Web Developer Engagement. what we might not be doing well (yet!). As this project continues, Mozilla should extend these interviews to include the larger Mozilla community, including users and contributors. 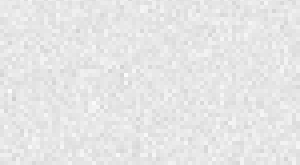 I developed the following map to illustrate the full inventory of Mozilla’s possible formal, informal, real-world, and virtual product user touchpoints and communication channels. Please click on this image to view it in detail. There is a general lack of consensus on what users consider the unique value of Mozilla’s products – for instance; is it browsing speed, open-web advocacy, data privacy? The value of the Mozilla mission as a non-profit organization with contributors and communities worldwide could be communicated better to our users. Goals for long-term end user engagement are not well defined. What does it mean to be a happy product user over the long term? Does this mean product advocacy, contribution, or simply using the products? Getting users to the correct channels can be challenging (e.g., directing user questions to support forums, or connecting developers and contributors to the right people). We could work on providing more customized support for less tech-savvy users. User outreach (Mozilla community and real-world events, developing a shared vision for long-term user engagement). Finally, I’ll conclude with some recommendations for future research.